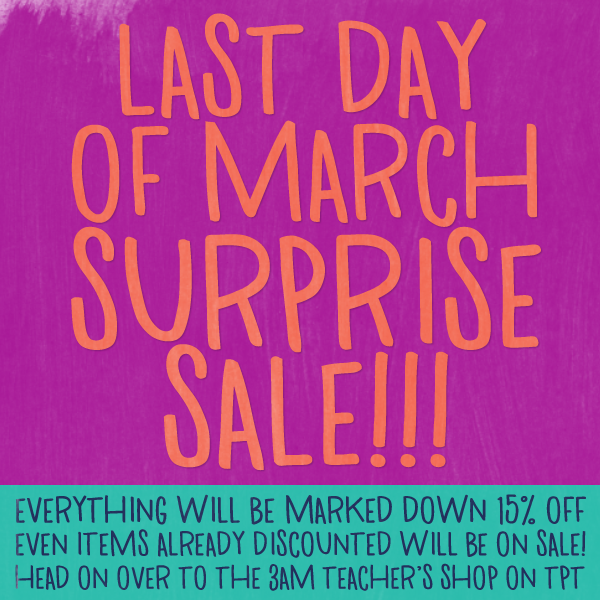 The 3am Teacher: One Day March Madness Sale!! One Day March Madness Sale!! And I promise that this is not an early April Fool's Day trick!! All of my regular and discounted clip art sets, planners, and resources will be marked down 15% ALL DAY LONG!! I am only marking down my TPT shop because I am revamping my website and my Etsy shop does not have all of my products listed right now...However, TpT is AH-MAZING!!! Happy shopping everyone and I hope finally get to purchase the goodies on your wishlists..
CLICK THE IMAGE ABOVE TO VISIT MY TPT SHOP.